Jackson State University is home to many international students. Our graduate programs attract students from diverse cultural and educational backgrounds from all over the world. 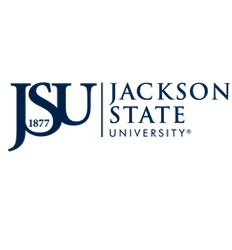 A prospective student who is not a US citizen applying for admission to Jackson State University as a graduate student must apply for admission by March 1, for Fall enrollment; October 1, for Spring enrollment; and March 15, for Summer enrollment. Please contact us by email at: graduate@jsums.edu with any questions you may have concerning application and admission requirements. 1. Application for Admission. Click here to access the Graduate School Application. 2. Out-of-state and International applicants must submit a $25.00 application fee. Applications will not be processed without payment of the application fee. Payment is made by using a credit/debit card at the time of application. Application payments are processed as part of the application. International transcripts must be professionally evaluated in order for your application to become complete and ready for review. We recommend you employ one of the following services for credential evaluation: Global Credential Evaluations, Inc. or World Education Services, Inc.
1. Special application forms and materials are required for some departments. Please visit the Department website for additional information. Click Departments for details. 2. Applicants must complete all application requirements prior to an admission decision. 1. The student will receive an I-20 document, issued from JSU Global, in order to apply for a student visa from their country of origin. Please visit the JSU Global website for additional I-20 information. 2. If you have additional questions, please contact an international admissions advisor in the Division of Graduate Studies at: graduate@jsums.edu.